FINNISH NEWS CORRESPONDENT IN LEBANON HOPES PERSON RESPONSIBLE FOR BOSTON MASSACRE NOT A MUSLIM……. – The Tundra Tabloids……. My bet is that deep down she knows it’s the work of Muslims, but is hoping against all hope that the perp turns out to be someone that she and her organization can label as ”Right-wing”. Folks, if you think that the U.S. media is biased, heavily biased (and they are), you should see what we get here in Finland on a daily basis, with some of it supported by state funding and special tax breaks. Never mind the fact that Muslims have not been victimized in the US because of 9/11, and whose leaders and communities have tried every available measure to evade allowing the federal government closer scrutiny of their communities, still this fake journalist bemoans the fate of Muslims in the U.S.
As a fake journalist, and as a part of the fake journalist class, Anna Kokko exudes an ignorance (calculated or otherwise) that one can readily recognize throughout her profession. No admission whatsoever that the US press, to date, has been very careful not to directly link Islamic terrorism with the attack, but only within the context that it might prove to be a factor as the investigation continues. What the fake media in the U.S. has mentioned however, more often than not, and wrongly, is ”right-wing” extremism, due to Monday having been ”Tax Day”, and that the Boston Marathon was celebrating ”Patriots day”, which the Left in America, and the media in large measure have alluded to on many occasions. Conservative Americans and their various movements, such as the Tea Party, have been maligned far more times in the fake media than any single Muslim or Islamic group. The only time Muslim groups are mentioned, is in connection with court trials and cases being brought up against certain individuals or groups. CAIR, for example, was an unindicted co-conspirator in the Holy Land Foundation trial. It’s through that trial in which members were found guilty of funneling funds to known terror groups, and by which law enforcement became aware of the Muslim Brotherhood connections and of their agendas. Faux journalist Anna Kokko and her faux employers at Suomen Kuvalehti, couldn’t care less about these facts, only the politically correct narrative that they are trying to safely manicure and protect. 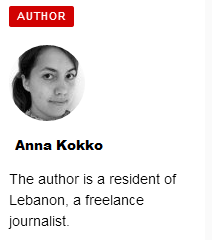 That’s the state of journalism here, and non-serious articles by the likes of Anna Kokko (who no doubt is heavily influenced by her environment and her hack journo gate-keepers at the SK) should be viewed under that rubric. SK: While the authorities are trying to figure out the culprits behind the Boston Marathon bombings, a Muslim friend of mine is afraid of growing racism, if the perpetrator is revealed to belong to an Islamic faction. On the other hand all ready our journalists are falling into the trap of too rigid thinking. Bloody images of the bomb attacks in the Boston Marathon on Monday, are spilling over the world. Just as soon began the speculation of the factors and reasons. “The Extreme Right, lone wolf, or by al-Qaeda?” asked, for example, the Helsingin Sanomat yesterday. Later in the same news story, it is found that a number of experts consider domestic extremist groups as likely to blame. Similarly, word choices should be used very carefully. I listened to a podcast after the summer attack of 2011 at Utoya, produced by Al-Jazeera according to which several journalists reported in the beginning of a “terrorist attack” in Norway. When it was revealed that it was a Norwegian not a radicalized jihadist, the definition of the event was changed to”the shooting of” or “mass murder”. In other words, the huge amount of press coverage received jihadist attacks have led many of us automatically associate Islam to terrorism. At the same time it has been forgotten that the political and religious extremist groups throughout history have tried to promote their goals by violent means, anywhere in the world. In the current situation of my friends wish – or rather fear – is probably, therefore, justified. If the 9/11-attacks hardened attitudes of many Americans towards Islam, how many American Muslims perceive themselves to be in the enemy camp, if the Boston bomber is revealed to be a representative of their religion? I am not saying that the attacker’s identity should be concealed, even though it was revealed he should belong to the same religious extremist group. In order for similar attacks can be prevented in the future, you have to be grounded in the reasons and the persons involved. That’s why is important to watch out for falling into the same simplistic, generalizing and racist thinking that can transform ordinary people as terrorists. NOTE: Kokko fails to recognize the sheer number of Islamic terrorist attacks carried out worldwide, over 20 600 thus far over the past 12 years, as the reason why people suspect Muslim fundamentalists behind this or that act of terror. The sheer number of attacks are daunting. Also, Breivik was acting out his own world view conjured up in his own brain to promote himself, not any one particular ideology, in spite of his manifesto. The only coherent parts in it were the portions he copy and pasted. Also, She should actually take her own advise to heart, and not base her own reporting on gut feelings and assumptions, but upon the facts to the story. She would be more credible as a journalist that way. Previous Post Previous Post MORE JEWS LEAVING FRANCE FOR ISRAEL DUE TO INCREASE OF ANTISEMITISM……..
Next Post Next Post PICTURE OF POSSIBLE BOMB BEFORE EXPLOSION AT BOSTON MARATHON……. Why on earth should he or she worry about muslims being afraid of growing ‘racism’ (what race are muslims again?). Besides, the perpetrator cold equally as likely be a Buddhist, Jew, Jain, Zoroastrian or Christian. Muslims don’t have any precedents for using barbaric and senseless subhuman violence in furtherance of their cult’s causes, do they? I have read a number of these self-obsessed comments, there was no accompanying condolences for the REAL victims, those murdered and tortured by the effects of the bomb, no interest in the pain suffered, only intent on drawing attention to themselves. How did we ever let these snakes into our countries? ?